Greensburg, Kansas. 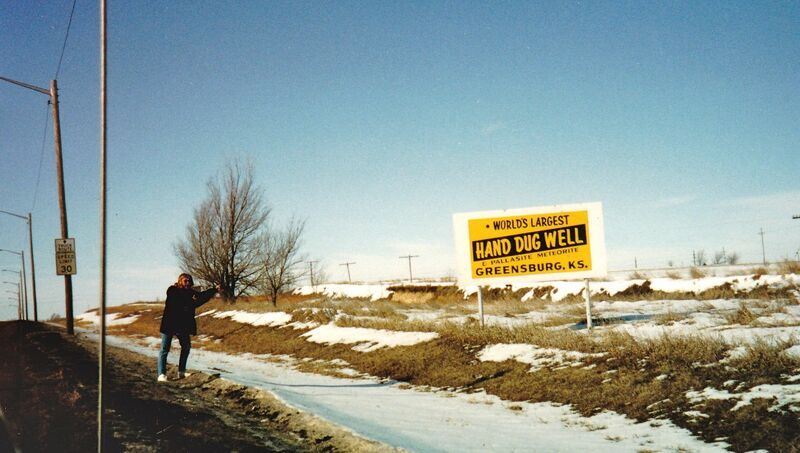 The marketing department of “Big Well” has done their job (do I dare say they’ve done it “well?”) Signs indicating and promoting “The World’s Largest Hand Dug Well” line US Route 54 in Kansas. Of course, there is not much to compete with along that stretch of highway. In 1993, my dad, Ed, and I were roadtripping to California from Minnesota and kept seeing these signs. Finally, we had to stop. Why not? 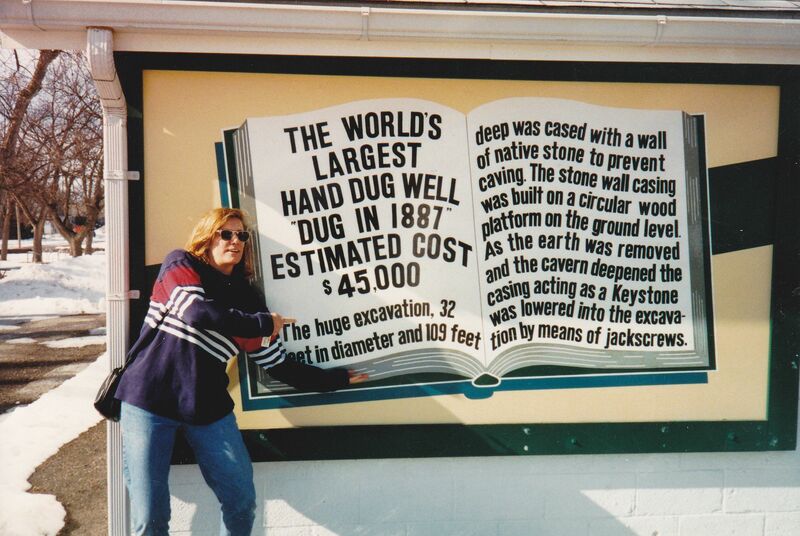 It’s the World’s Largest Hand Dug Well!! (Actually, there are wells in Egypt and Italy that really vie for that title.) 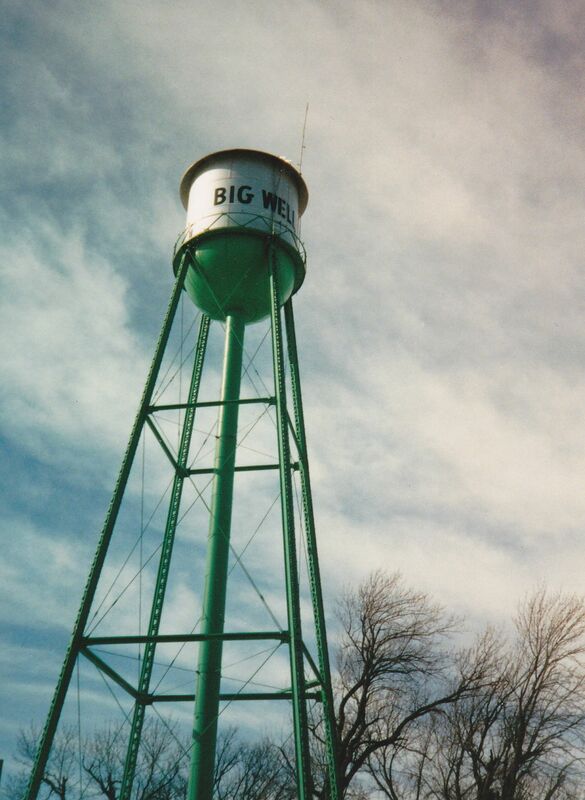 Dug in the 1880’s, “Big Well” is 109 feet deep, and in 2008, was named one of the “Eight Wonders of Kansas” (www.bigwell.org). And, also at the SAME site, you can see a meteorite on display. In case you didn’t see the sign at ground level…you’re almost there. Here it is (the gate surrounds the actual well). I wish I had a photo showing the inside of the well, because it is very impressive. The information/visitor center is right there also. Sadly, the visitor center was destroyed in a tornado in 2007. 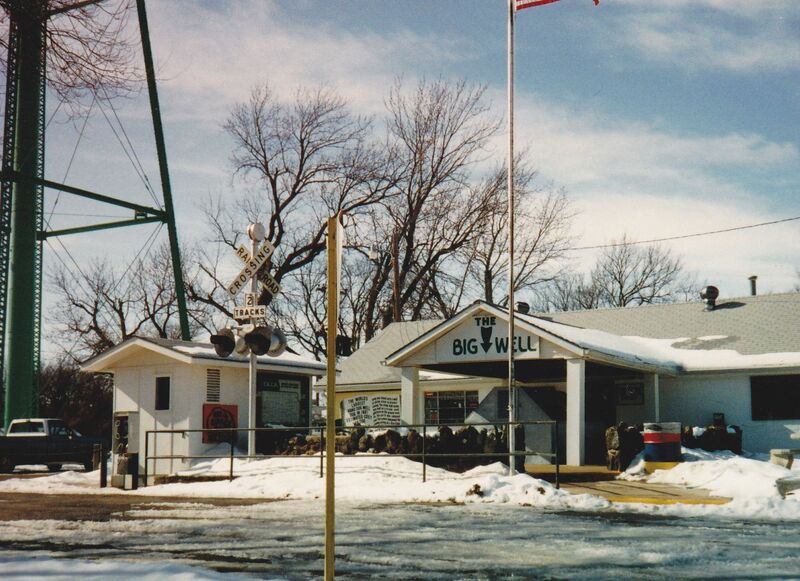 The good news is that “Big Well” has re-opened with a visitor center and museum. The meteorite is safe, too! 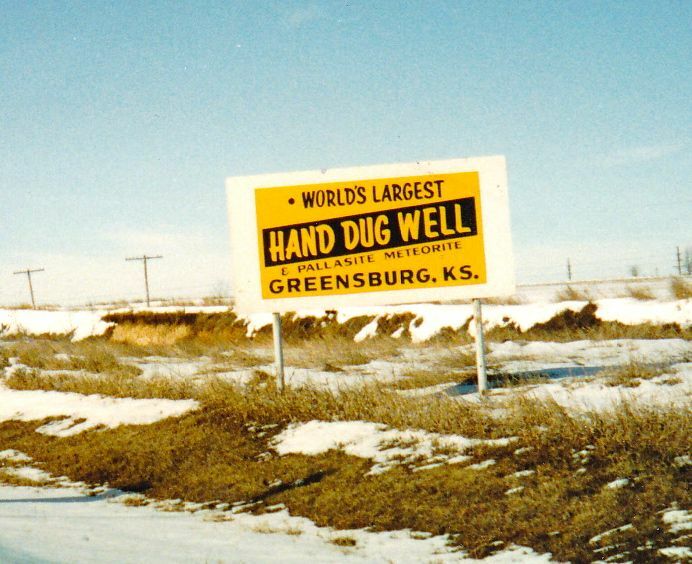 This entry was posted in Funny signs, Kansas, North America, Photography, Travel, Uncategorized, United States of America and tagged Big Well, Greensburg KS, hand dug well, Kansas by stephglaser. Bookmark the permalink. Way cool. Love the old photos. 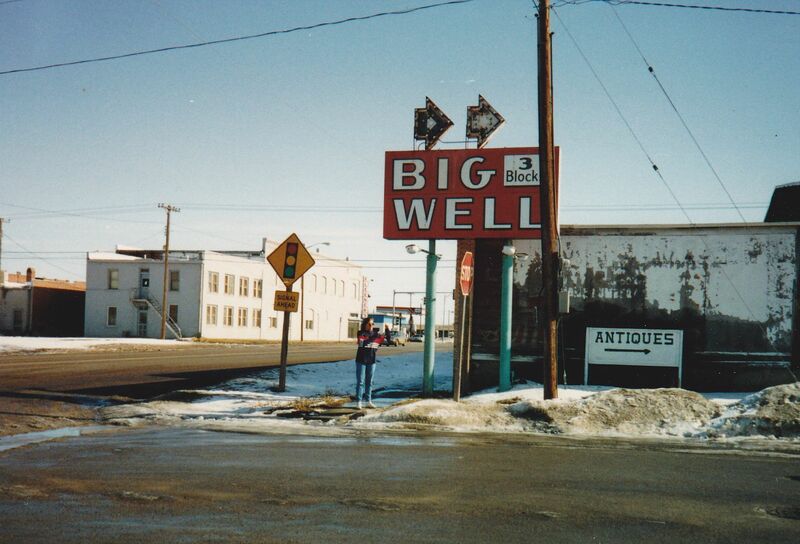 Thanks for your post about the Big Well! I am the Director of Tourism for the City of Greensburg and Big Well Museum Manager. Your photos are a great trip down memory lane! Do you mind if I share your post on the Big Well facebook page?